At the Buckmayne annual pageant, where he appears as the well-known and much-liked local archaeologist turned TV personality, Steven Whittaker stands on the brink of a brilliant career. True, there was his Jill, his ambitious wife, who is suing for divorce over some misunderstanding with the Lawley sisters. And the sisters, the alluring Penny and bewitching Imogen, seem bent on casting spells over him and the ancient Dorset landscape as midsummer approaches, no doubt egged on by the Pagan Historical Centre, whose helpers are turning up ever more unlikely finds at the dig Whittaker supervises. Nothing he can't sort out, he assures his TV film director, his Head of Department, who has never hidden his dislike of Whittaker's teaching methods and his pied piper influence on students, and even the surly Ned Barnes who wants a new age festival on the dig site. 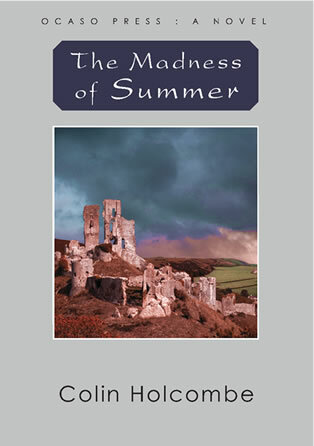 One by one the strands of Whittaker's sensible life come apart as Dorset folklore intrudes into and reawakens his unfinished business with Penny Lawley, with that disastrous school trip, and with his own future that lies buried at the Leyton Rings excavation. After the performance I saw my family off and returned to the Buckmayne Community Centre. Chairs had been stacked away, and a crowd pressed round the makeshift bar. Martins brandished our drinks. 'What was that again?' I said when we clinked glasses. She surveyed the plump figure with its tangled mop of graying hair. 'Doesn't look like a film director to me', she decided, staring up through those extravagant lashes. 'Who now?' said Martins, reaching for his notebook. 'Ted Ten Percent. Imogen will explain.' The woman gave me an open stare: Imogen with the tight hold on life, who gives exactly what she promises.